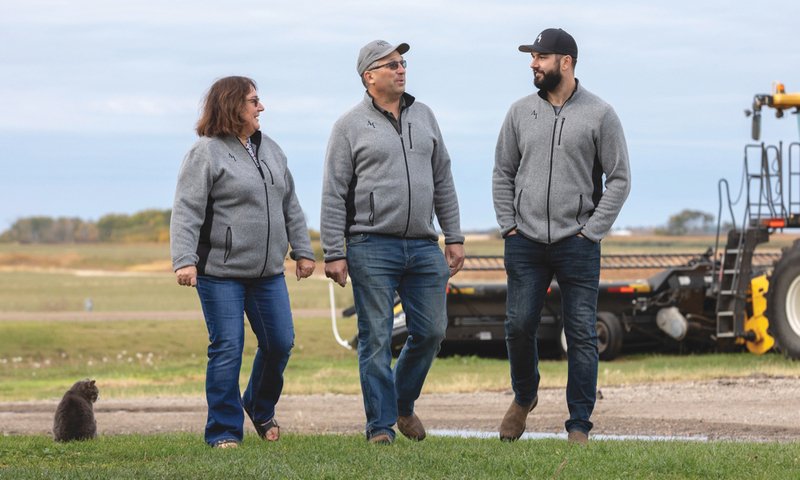 Since its launch about two years ago, the company formed by grain farmers Richard and Annette Arnold and their son Doug in Hamiota, Man., has scored some big successes in Western Canada. Those include several awards — in 2016, Arnold Innovations took home a “Silver” Innovation Award at Farm Progress in Regina along with Best New Innovation at Ag Days in Brandon, and in 2017, the first-place Agri-Trade Equipment Expo “Ag Innovations Award” — and now the firm is poised for major expansion, across Canada and across the border as well. How have these farmers achieved this success? Smart partnerships have played an important role, hand-picked by Doug using specific strategies. 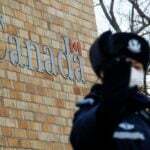 Partnerships abound in Canada’s farming community today and their numbers seem to be growing. 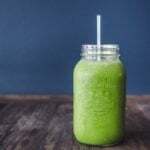 As you’ll see in this story, they’re also taking many forms, from entrepreneurial ventures that go well beyond the farm (i.e. 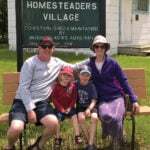 the Arnolds and the Schermans) and farmer-organization partnerships (i.e. the Lindgrens, who help educate other farmers and the public) to farmer-farmer and business-business partnerships (i.e. Scott Lamb). 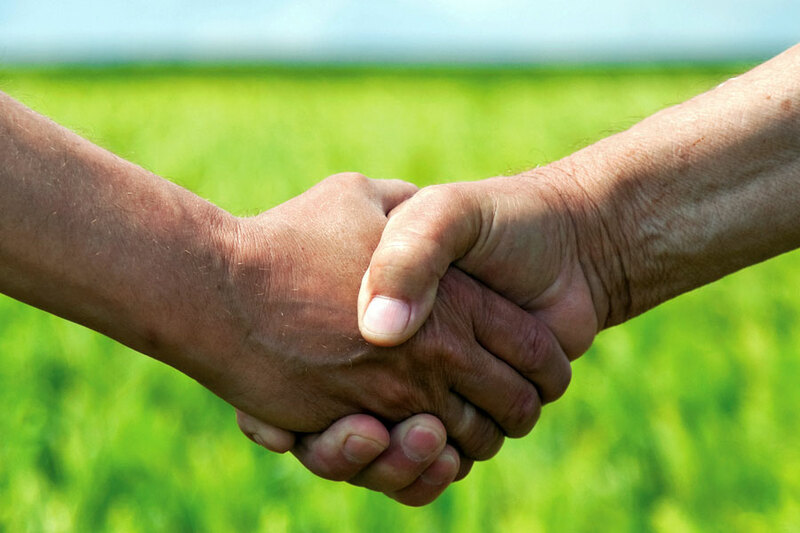 When you read the stories below, you’ll understand why these farmers use partnerships — and how these relationships have been a successful part of pursuing their greater farming-related goals. First, though, let’s return to the Arnolds. The wildfire of their business was actually sparked by an unfortunate incident on the farm years ago when Richard was unplugging his combine cylinder. When he tried to push the cylinder up with his shoulder, he caused himself an injury and pain that lingered for over 12 months. Richard approached his son Doug, who couldn’t have been a more perfect person to look at the problem. At the time, Doug was head of product design at a firm in nearby Rivers, Man. Could he come up with something that would allow a cylinder to be unplugged more safely? Of course he could — and did. As the design was refined and finally perfected, Doug says they realized it would work for other farmers too. Arnold Innovations now offers five reversers for various combine brands, with two more to be added soon. 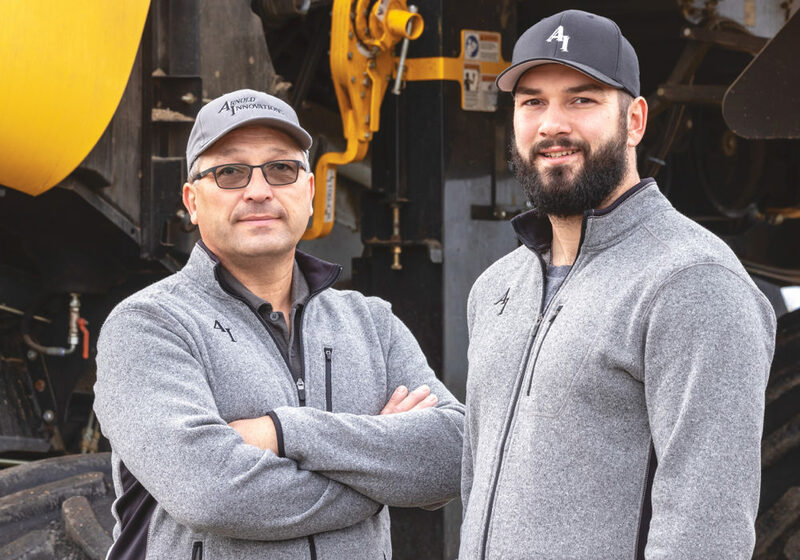 Along the way to this achievement, the Arnolds have used many partnerships, chief among them partnerships with both smaller and larger (OEM) farm equipment dealerships across Manitoba and beyond. That’s been pretty easy, says Doug, because the product is something that customers have already been asking for. You need to get the information in front of the right person,” says Doug Arnold, right, with parents Richard and Annette. 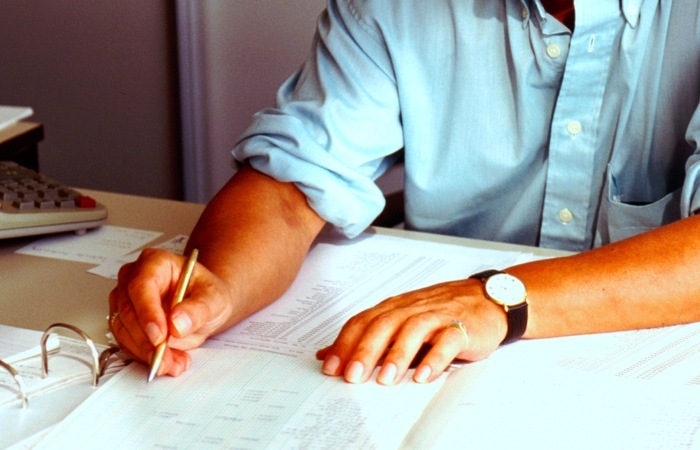 And while their overall partnership arrangement with dealers has been challenged by a few who wanted to charge more than others, they’ve found a solution by putting pricing agreements in place. In terms of finding a marketing partner, Arnold employed a strategy of comparing suitable potential candidates — three firms, one of which he was already familiar with from his previous career off-farm — and made a decision after looking closely at their pricing and services. Already having many contacts also came in handy when he needed to find good partners to supply components. In addition, the Arnolds found a business growth partner through Doug’s network of contacts, but he actually wasn’t sure at first that Arnold Innovations needed this partner. He used a strategy of taking his time and being sure of value through a few meetings over the past year or so, and he’s now convinced of the value of working with this firm in the quest to build new sales channels in 2019. In addition to using personal referrals and networks to find good partners, Doug advises that it’s convenient to work with local firms with well-established reputations. For example, he chose a metal cutting and bending partner, Hidden Valley Manufacturing, located on a nearby Hutterite Colony in Austin. Let’s not forget that farmers have partnered with the grain industry for decades, helping to supply entrepreneurs in that sector with differentiated crops for their mills. It’s a trend that’s still growing and evolving. 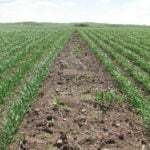 Over the last six years, a group of flax and hemp farmers in Alberta have partnered with Calgary-based Synermulch, a developer, maker and international exporter of products for erosion control and soil amendment. Farmers supply the firm with straw, gaining an additional income stream, but Synermulch business manager Trevor Kloeck notes that they need their farmer-partners to have excellent and consistent crop management practices. Quality is a key consideration for his firm as quality has a major impact on product performance. 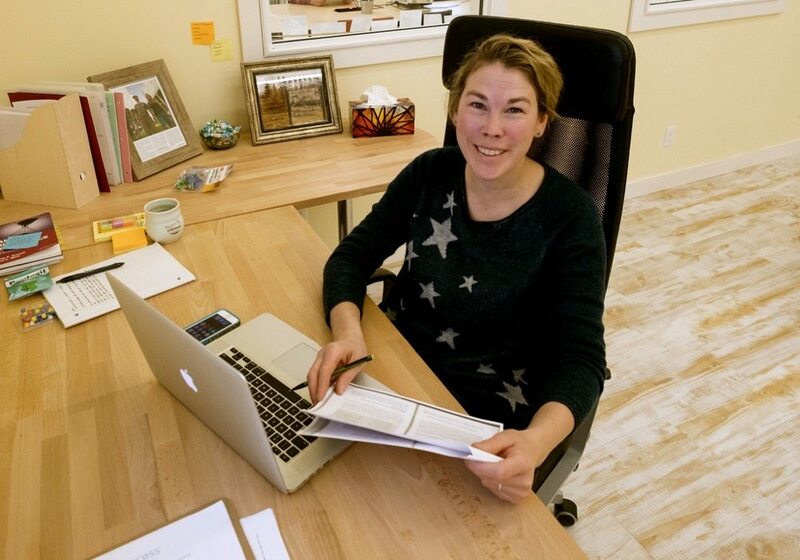 Some flax and hemp farmers in Alberta have partnered with Calgary-based Synermulch over the last six years, a developer, maker and international exporter of products for erosion control and soil amendment. 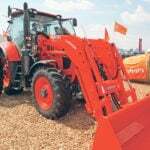 Farmers are able to supply the firm with straw, gaining an additional income stream, but Synermulch business manager Trevor Kloeck notes that they look for farmer-partners with excellent and consistent crop management practices. 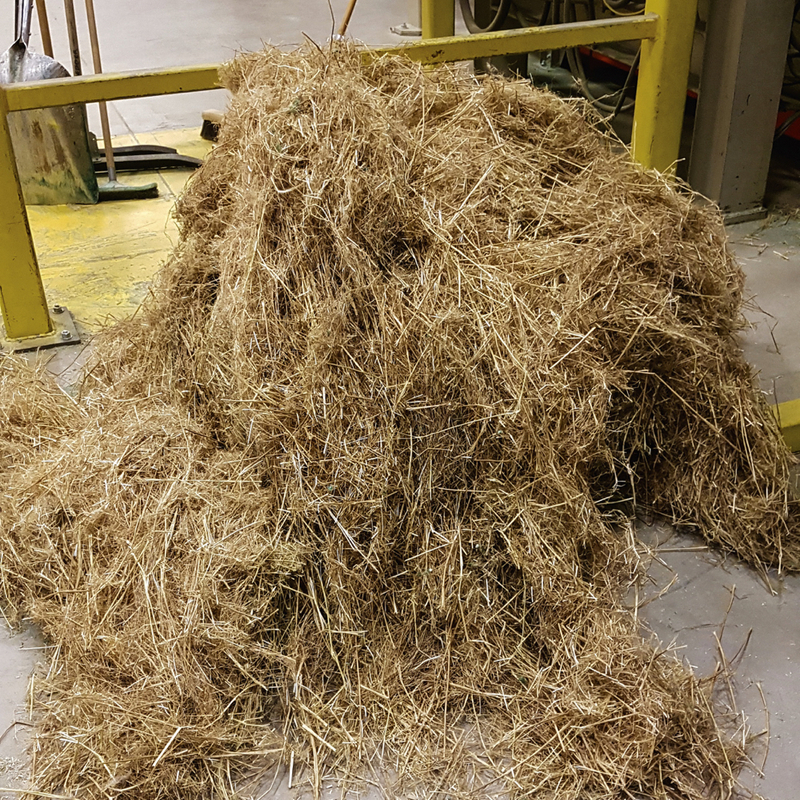 “These farmers understand that not every flax field will meet our quality standards, but that the better they manage their straw, the higher the likelihood is that we can use it,” Kloeck explains. There’s a familiar pattern. Partnerships seem to work out well when they’re made with partners who have good reputations and are already known to the farmer. It’s not surprising, then, that this has been the case with Scott Lamb too. 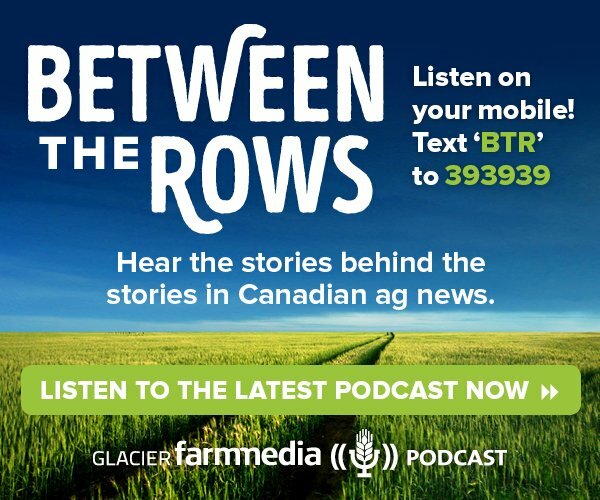 For the last three years, he’s been in a partnership with another farmer he’s known a long time, with this farmer wintering his cattle at Lamb’s farm in Swift Current, Sask. (a cow-calf Red and Black Angus operation). Scott Lamb grinding barley with his faithful canine partner Max. Lamb wouldn’t have just anyone’s cattle at his operation, as it holds a pretty special place in his heart. He was raised by his farmer-grandfather and it was hard on Lamb when, years ago, his grandfather decided to sell that farm. When some land came up for sale in 2013, Lamb bought it as soon as he could. It was close to Swift Current, where Lamb had, and still has, an excavation business. As mentioned, Lamb had known his cow-calf partner for a long time — Lamb had actually worked for him back when he was 19, and later on, he was a client of Lamb’s for some excavation work. The partnership works well, however, not just because they know each other, but also because they help each other when needed. 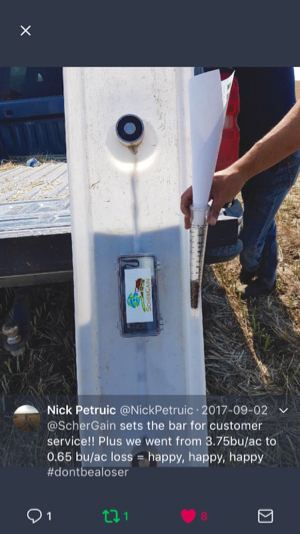 On the road to creating the ScherGain Solution System — a simple but incredibly impactful combine loss measurement device that won the 2017 second-place Agri-Trade Equipment Expo “Ag Innovations Award” — farmers Pat and Trevor Scherman of Battleford, Sask., worked with several partners. But from the start, as with the Arnolds, the partnership arose within the family. “You have to trust your gut,” says Trevor Scherman, seen here with father Pat. Figuring out combine losses was never an easy task for them, and it was one that the Schermans knew was frustrating and time-consuming for all the other farmers out there as well. “No one had a good way to measure,” explains Trevor, “but we came up with a way to do it in less than five minutes.” After several years of refining the design and getting a patent, they launched their drop pan on the market in July 2017. 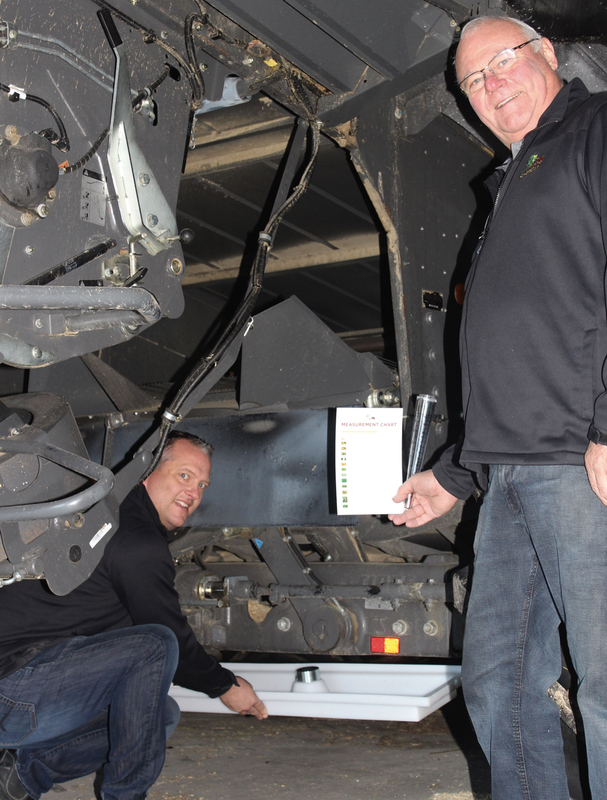 In creating the ScherGain Solution System — a simple but incredibly impactful combine loss measurement device — farmers Pat and Trevor Scherman of Battleford, Sask., worked with several partners. 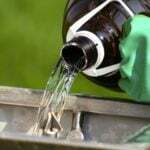 Their marketing firm suggested a “roll out” on Twitter, which has resulted in countless happy farmer customers becoming ScherGain Solution marketing “partners” through their posts on that social media platform. For the device parts (all manufacturing is done on the farm), the Schermans chose a farmer who also runs a supply business. “We went with him because we knew him and we knew he wanted us to succeed,” Scherman says. While they’ve first made sure they could meet the needs of their farming neighbours in Western Canada, they’re now looking at filling orders from Eastern Canada and the U.S. (having already just shipped a pallet overseas) — which means they’re now talking to various potential export partners. 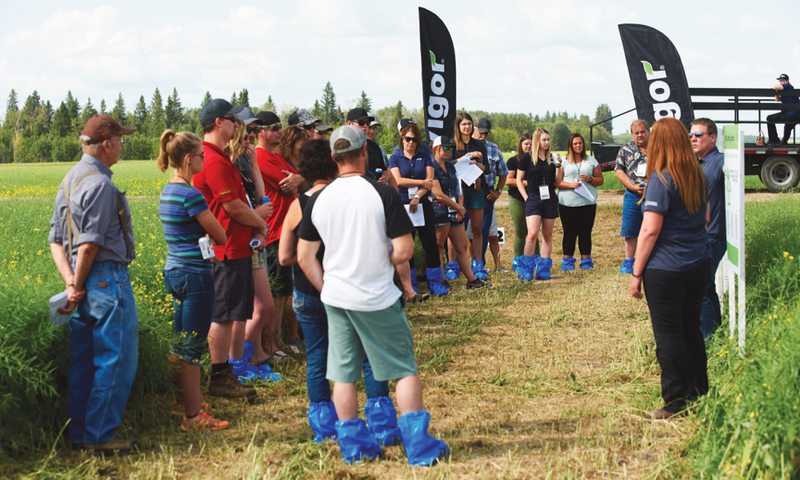 Over the last few years, fourth-generation grain and oilseed farmers Jordan and Jennifer Lindgren have engaged with various partners to educate other farmers — and also to the young public — at different events on their farm in Norquay, Sask. It was three years ago that the Lindgrens were approached by ag retailer Prairie Soil Services to run the 20-year-old “Field of Dreams” event on their farm. Jenn says they agreed because they were familiar with the firm and trusted the staff — their agronomist works there. Now, they’ve hosted three successive “Field of Dreams” events, showcasing crop trials related to genetics, seeding rates and fertilizer rates, as well as new equipment. 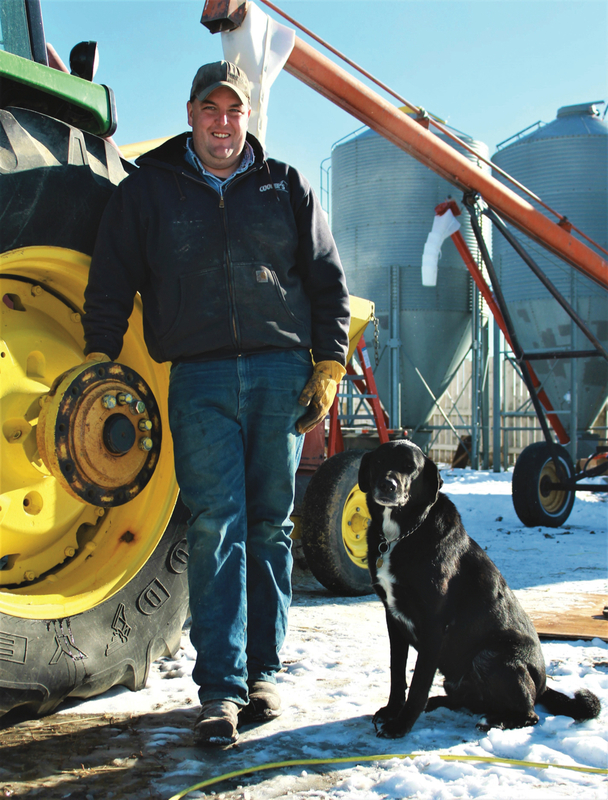 Over the last three years, fourth-generation grain and oilseed farmers Jordan and Jennifer Lindgren have engaged with various partners to present information to other farmers and school children at their farm in Norquay, Sask. They were approached by ag retailer Prairie Soil Services three years ago to run the “Field of Dreams” event which showcases trials on the farm related to genetics, seeding rates and fertilizer rates, as well as new equipment. The Lindgrens are also partners in the province’s free “Food Farm” school-visit program. 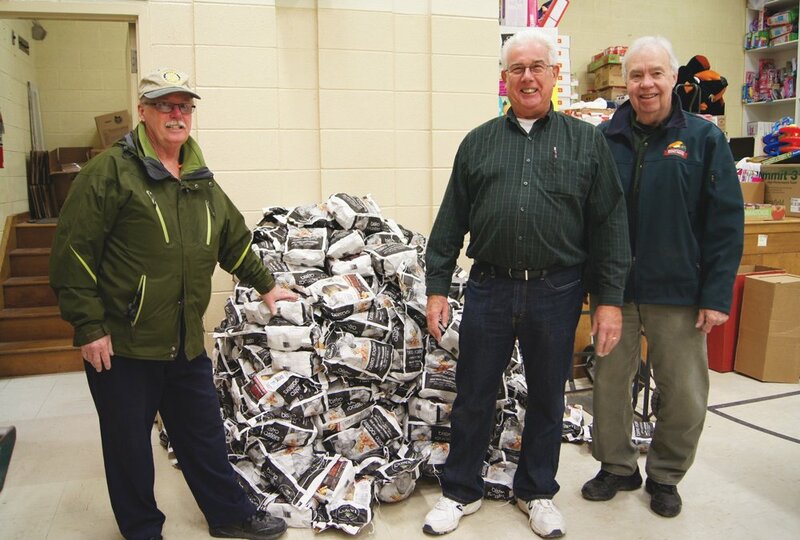 In this case, they reached out to the well-known organizing group “Ag in the Classroom” last year and hosted two very successful “Food Farm” events in 2018, where primary classes visit various stations on the host farm. For all this and more, the Lindgrens have been declared Saskatchewan’s 2018 Outstanding Young Farmers.